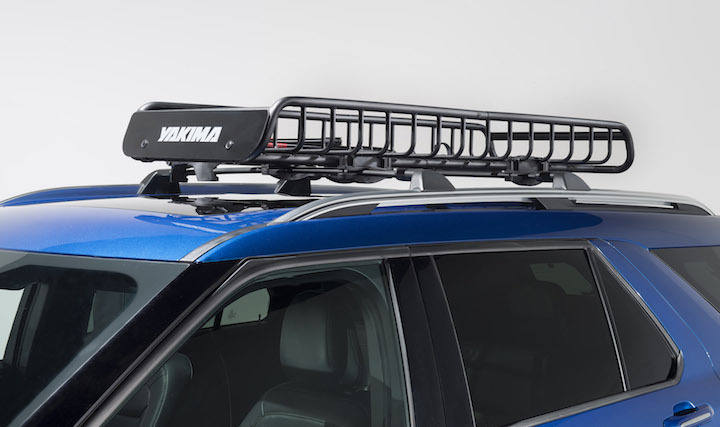 Ford Motor Company and the cargo solutions specialists at Yakima have teamed up to introduce a full lineup of roof racks and other storage accessories for the 2020 Ford Explorer SUV. 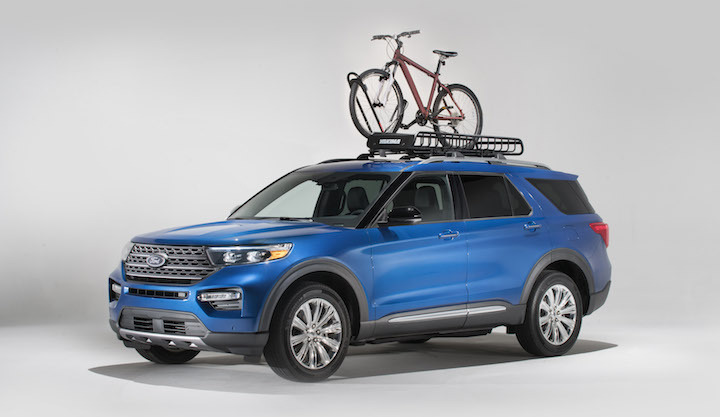 Ford says the Yakima line of accessories, which includes racks for bikes, kayaks, canoes, skis, snowboards and more, allows 2020 Explorer owners to “customize their vehicle to suit their adventurous lifestyle.” The cost of the accessories can be lumped into the vehicle finance plan when purchased new from a Ford dealer, and Ford Credit says that all official Yakima accessories will be eligible to add value to the vehicle’s resale price if it is ever sold back to the dealership. Paddleboard carrier holds up to two stand-up paddleboards; integrated rollers help with loading. 6.5 by 6.5-foot awning provides 42 square feet of cover; nylon shade rolls and fastens to roof rail. The 2020 Ford Explorer will go on sale in the United States this summer with prices starting at just over $32,000. Pricing for the Yakima line of accessories is not yet available.